We had a number of power surges in 2014 due to stolen cables. We were told that we could claim from City Power. Should one bear in mind that home owners' insurance apparently does not cover power surges? Please would you advise. The procedure is: The claimants will have to contact City Power's legal department on 011 490 7546. They will have to complete a claim form and their claim will be registered and a reference number will be issued. A technical report is compiled in respect of each claim and submitted to the legal department. This report then is submitted to the insurance company. The insurance company will then make a decision on whether to settle the claim or not, based on the merits of the case and the technical report relating to the cause of the power surge. 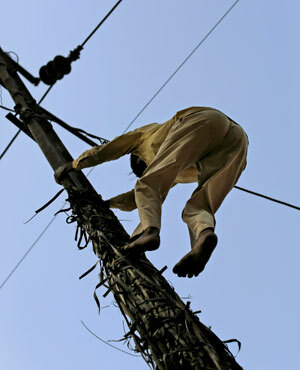 There are various instances in which individuals have claimed for damages caused by power surges (specifically due to cable theft) from their local municipalities. Out of interest, we can mention two reports from the Public Protector of South Africa, which found in the consumer’s favour where damage as a result of power surges is concerned. In both cases, the relevant municipality was held liable for the consumer’s loss and/or damage. As far as claiming from your insurer for damage caused by power surges is concerned, Marius Neethling, personal lines underwriting manager at Santam, explains that Santam will entertain claims for damage to property or goods as a result of power surges even if the cause is due to theft of power cables which supply electricity to the dwelling. Damage caused by a power surge is covered if the individual elected to take out "accidental damage" insurance. * Have you ever found yourself in a similar situation? Share your experience and you could get published.